We are a reputed Manufacturer, Exporter & Supplier of Braided Belts. 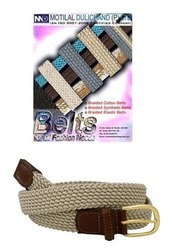 We offer premium quality and elegant Braided Belts in various colors, patterns and sizes. The Braided Belts supplied by us are widely appreciated for durability, aesthetic appeal and perfect finish. Our range of classy and fashionable Braided Belts can be availed by the customers at competitive prices. 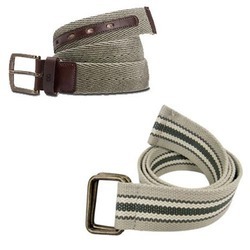 Our clients can avail from us superior quality range of Woven Belts that are neatly crafted from premium quality materials and using latest technology & style. They are available in varied length and thickness. Our ranges of these are highly demanded for their high quality, comfort & style they also meet the latest trends. These are handcrafted by skilled craftsmen in various designs, sizes and colors. We also offer our range in custom designs, patterns and are available at cost efficient prices.